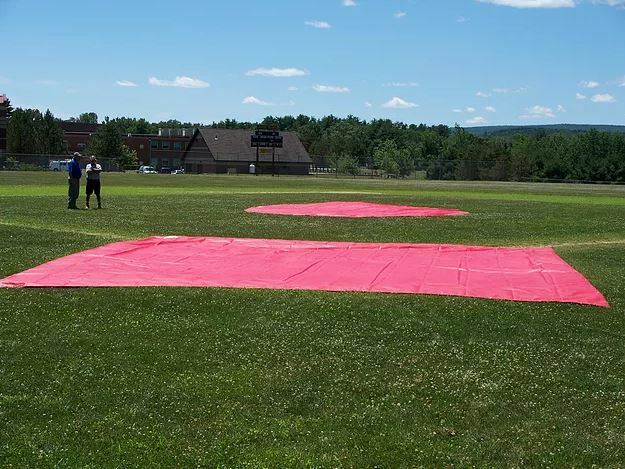 Kaplan Tarps manufactures field covers for local schools. Recently a local high school came to Kaplan Tarps looking for a field cover. 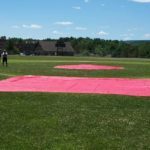 They wanted to cover home plate and the pitching mound with a baseball field cover that was durable and would last them many years. We manufactured them custom size covers in their school colors and delivered the covers the next day. These covers have welded seams, no stitching means no leaking during rain storms, Re enforced edges and grommets also allow long life and aid durability.